Usually, when you eat pizza at home, you’re paying for the privilege, but now, there’s an opportunity to get paid actual money to enjoy the cheesy goodness from the comfort of your own sofa. It’s usually met with chuckles of agreement and wishful thinking, but laugh no more. Those jokers can now be taken seriously by getting a job with the title: Pizza Taste Tester. Ooni, a company who create pizza ovens, are advertising the amazing position, which will involve ‘pizza, pizza and more pizza’. We’re hiring multiple people for a number of Pizza Taste Tester roles – these roles will be a unique mix of recipe development, product testing and brand ambassadorship – pizza, pizza, and more pizza! Maybe you’re a chef, a food stylist, a pizzaiolo, or simply a super passionate home cook. You’ll be helping us develop and test recipes using our awesome wood-fired pizza ovens, as well as testing and providing feedback on new products, plus showcasing Ooni to the world through your social media accounts and at live events. It seems like they’re looking for a pizza enthusiast who’s guilty of sharing pictures of their food on Instagram. So anyone between the ages of 16 and 35 will probably be an ideal candidate. #yum. 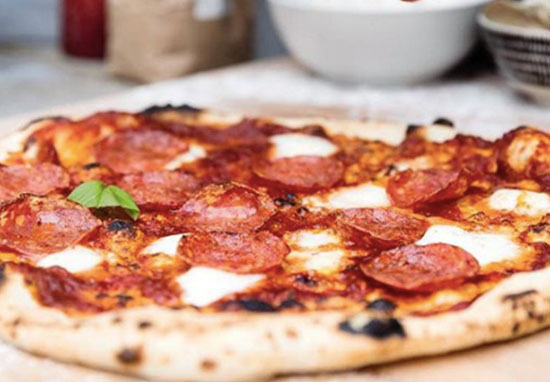 The advert explains pizza making experience would be useful, so if you fancy yourself something of a chef, and often impress your friends by throwing pizza dough in the air – and it actually being a success – then this job is definitely for you. The position isn’t location based, either. No matter where you live, Ooni will send you one of their pizza ovens so you can get rolling, sprinkling, cooking and, most importantly, tasting. This is officially an excuse to experiment with breakfast pizza, lunch pizza, dinner pizza and all other forms of the doughy deliciousness. No one would be able to judge you either, because it would literally be your job. Experience making pizza dough and cooking pizza will be a huge advantage for candidates, but most importantly you must have an enthusiasm for cooking and sharing food with your nearest and dearest. You can be based anywhere in the world – if you’re hired, we’ll send one of our pizza ovens direct to you so you can start cooking straight away! This is a paid freelance position with remuneration to be decided dependent on experience. I really don’t think this job has any down sides. To apply, send a video of yourself to Ooni, performing some pizza making skills and explaining why you’re the person for the job. Remember, you get money AND pizza if you’re successful, so if there’s a time to show commitment and passion, it’s now. Applications close on October 14, after which the company will be contacting those who’ve made the shortlist. Check out the mouthwatering job here.